Pancreatic cancer survival rate depends on a number of factors including stage and tumor size, but the fact remains: it is largely incurable. Based on the stage and progression of the cancer, about 16% of all patients survive the ordeal if it is diagnosed at an early stage. However, most patients do not find out until it is too late, at which stage approximately only 2 percent survive. Early diagnosis is helpful and needed for those who are facing pancreatic cancer. Survival rates are dependent on tumor size – the larger it is, the less likely it can be cured by surgery. This is not the end of the world because, as it stands, even large tumors may be removed; many patients with tumors larger than 4-5 cm have been cured by surgery. Clinics or medical centers which specialize in pancreatic cancer treatment are more likely to be able to successfully remove larger tumors than their non-specialized counterparts. So, what course of action can you take if you are diagnosed with pancreatic cancer? It depends on the prognosis, which is affected by many factors, some of which include the type and location, the stage, its grade and the patient’s age, general health and response to pancreatic cancer treatment. Pancreatic cancer prognosis takes into consideration all the above mentioned factors and then tries to predict what might happen. Doctors rely on years of research carried out over thousands of patients to determine the course of action they will take. However, it should be noted that prognosis is only a prediction and is not a fixed route that will definitely lead to recovery; doctors simply cannot be truly certain about the treatment they can give. While prognosis is easier at an early stage, it can be difficult to diagnose. There is no reliable screening test and symptoms are often vague and easily confused with other diseases. There are groups of people who are at a higher risk though: people with two or more relatives who have had pancreatic cancer, those who smoke cigarettes, and those who have chronic pancreatitis; it also affects those who are over the age of 50. Whatever the case may be, pancreatic cancer survival rate has increased over the years with improved treatment and surgery. Early diagnosis leads to a higher chance of recovery and it is advisable to seek treatment at specialized clinics or centers that have experience in the field. 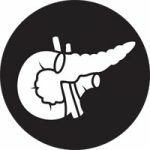 Previous Article What are the common symptoms of pancreatic cancer?